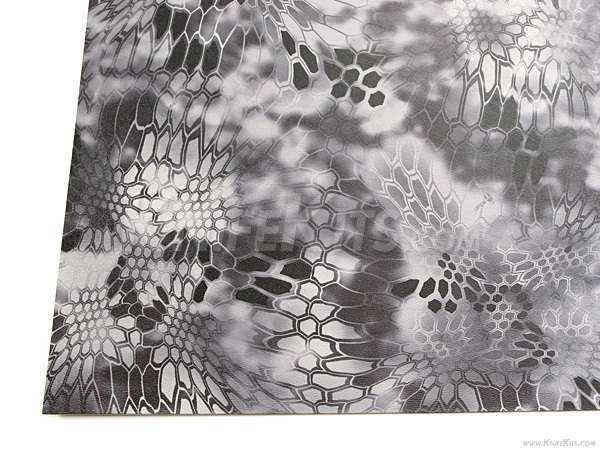 Kryptek® Raid™ camo pattern is applied with our new and improved digital infusion process. 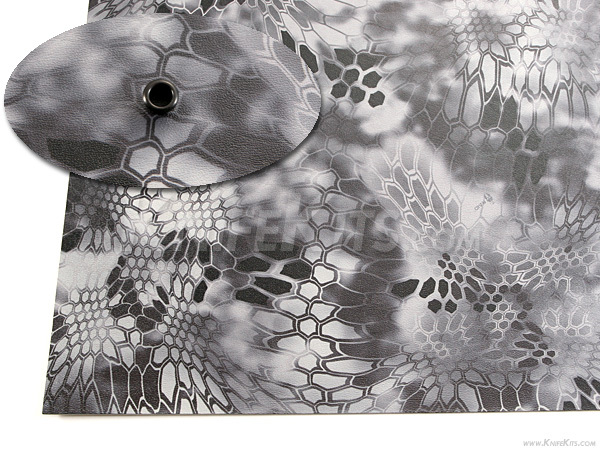 Our improved process allows the graphic to be thermally bonded to the top layer of the KYDEX® thermoform sheet, yet maintains the original sheet's texture and size better than any other infusion product. By maintaining the most original sheet texture, our process allows the graphic to display a 3D depth like never before. This is the best infusion print on the market, period. 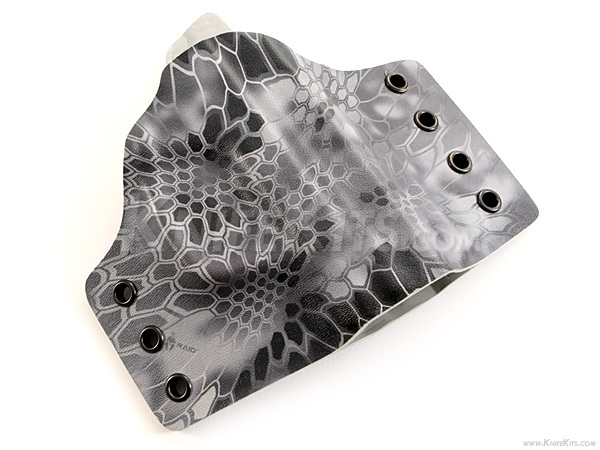 The base sheet is .093 gauge, cell/smooth finish Battleship Gray KYDEX®. It is sold by the (11.50" x 11.50") nominal* size sheet. Orders of (4) feet, or more, will be be shipped in 11.5" x 23.0" sheets.